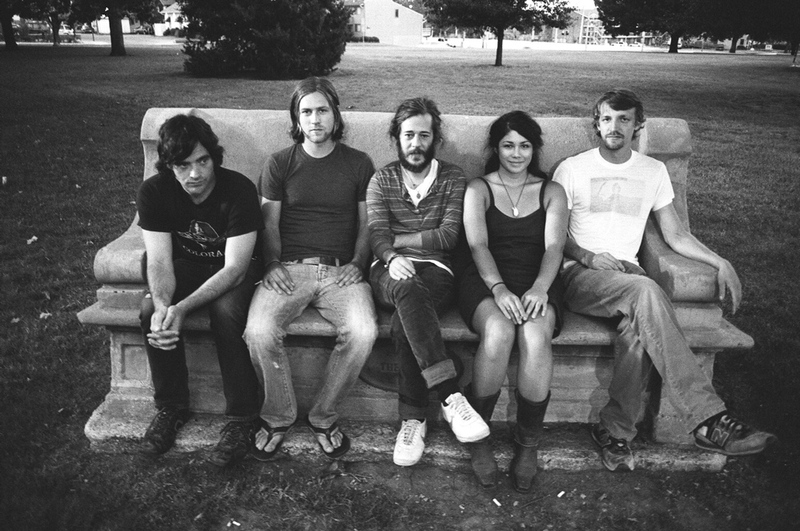 In 2009 Other Lives released their self-titled debut album on TBD records. 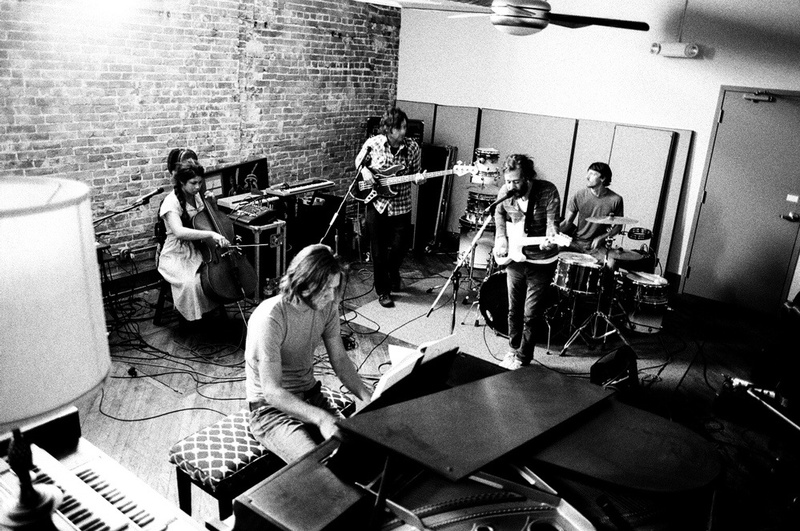 From the opening track, the modestly titled “E Minor,” it was clear that this wasn’t just another indie-rock-folk record. Every song was not only engaging, but seemed to have been carefully arranged around the band’s stock of acoustic instruments. Given the melodic nature of their sound, they have been favorably (and somewhat reductively) compared to bands like Coldplay and early Radiohead. In the end, however, they’re not the kind of band you can pigeonhole. What I love about Other Lives is the same thing I love about The Murder City Devils, Dead Can Dance, Outkast, or any band that mixes enough sounds and styles from the past that they create something new in the present. Other Lives reminds us that good music can outrun its mortality, and that even in an age when we think we’d heard it all, there are still sonic moments we haven’t experienced, other spaces we’ve yet to inhabit. Hailing from Stillwater, Oklahoma, Other Lives consists of Jesse Tabish (lead vocals, piano, guitar, harmonium, organ, vibes, electric harpsichord), Josh Onstott (bass, melotron, backing vocals), Jonathon Mooney (piano, violin, organ, vibes, electric harpsichord), Jenny Hsu (cello, backing vocals) and Colby Owens (drums, lap steel). 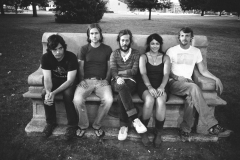 Originally formed as an avant-garde instrumental band under the name Kunek, Other Lives’s current lineup has been playing together for seven years. I sat down with Tabish, Onstott, and Mooney at the Dust Bowl Arts Market in Norman, Oklahoma, and talked with them about their influences, their progression as a band, and their upcoming sophomore album, Tamer Animals, which they self-produced and self-engineered. The Fiddleback: Would you say the new album is more orchestral than the last? From the tracks I’ve heard, there’s this sweeping epic quality that’s pleasantly unexpected—kind of reminds me of Miles Davis’s Sketches of Spain with those castanets and horn arrangements. Jessie Tabish: Yeah, in some ways it’s more orchestral. I mean, the trick to the record is that there are a lot of different types of songs and approaches on it rather than one orchestral sound or this or that or folk. JO: I’m so scared of that word, Prog. The Fiddleback: Did your sound or style—whatever you want to call it—evolve naturally because of your individual backgrounds or did you, as a band, make a conscious decision to develop your sound as a collective? JT: I think we’ve been at this for a while and there’s a little bit of stumbling into things. There’s surprises. But there are also preconceived ideas–I want to do this and try to execute this–so it’s a bit of a combination of that and then just the idea of going from a really functional band that’s playing their instruments to asking, “What do we want to say here? What do we want to do?” We’re not rehearsing or playing like a proper band. We’re recording and deciding, yes, we want to bring in seven violins here. We’re not limited to what we can do; we’re writing music on tape. JM: Think of it as changing the medium. We’ve adhered to less and less of the typical band format. We’ve learned to put down our instruments and say that just because I play this instrument doesn’t mean it belongs in the song. So we completely throw ourselves out of it and sometimes have completely written ourselves out of a lot of these songs. JO: Which is going to be fun to figure out how to play live. JM: Yeah, in some ways it’s not very practical. The Fiddleback: A lot of good records aren’t practical. The really great records—the ones you put on as an event—sound like they’d be difficult (or impossible) to replicate live because they’ll be something like fifty-seven overdubs on one guitar part alone. JO: We’ll, there’s such a format with songwriting that people try to stick to. JT: And it makes sense why people stick to the format–it’s practical, it’s realistic, it’s functional. And no disrespect; some of my favorite bands are very practical in their approach. There’s nothing better sometimes than seeing a four-piece band that’s super-together and you can tell they’re writing songs in the room together, and that’s great. But for us we’re not there at this point, and we don’t want to approach it that way. The Fiddleback: Do you share similar tastes in music, or does everyone come from a different pedigree with respect to what you each listen to outside of rehearsal and the studio? JT: I don’t know. There are definitely some fundamentals we share. The Fiddleback: Like your Leonard Cohen cover? Is everyone a Cohen fan? The Fiddleback: I actually like your cover better than the original, but that’s pretty much the case with every Cohen cover I hear. JT: That’s nice, but I disagree with you. I think we’re lucky to do even a little bit of justice to it because it such a fabulous song. The Fiddleback: So, talk more about Tamer Animals. What are you excited about? How is it different from the last record? this go-around’s a little different because we’ve been recording as we’ve been writing. One day I write a new tune and the next we record it. The songs exist more in the moment. JO: I think the last year has been a great learning experience for all of us because we’ve taken the time to step back and dissect what we’re doing and spend the appropriate amount of time with the material. It’s really a pleasure to work with everybody on that level, and I think we have more fun, too. JM: It’s also the way we’ve adapted to this new medium we’re using. Given the amount of instruments we play, if we want to try out a song or idea we have to either A) get a whole chamber orchestra together or B) record it one instrument at a time. So it’s kind of a necessity to record in layers until we actually have the finished product we want. JT: Well, with the last record the songs were written over a period of two years and they were really labored over—for better or worse—I mean, we love the record, we’re proud of it, but it was recorded it in such a short time, about four to five weeks. But this go-around’s a little different because we’ve been recording as we’ve been writing. One day I write a new tune and the next we record it. The songs exist more in the moment. The Fiddleback: Has self-recording and self-producing been a fun or a headache? JM: More fun than headache. We love working around all the vintage equipment and vintage mics in the studio–stuff you can’t really find anywhere else. JO: We’re paying more attention sound–getting the right sounds for the record–than, say, chord structure. The Fiddleback: As far as Oklahoma rock bands go, you fall somewhere between art house, psychedelic bands like The Flaming Lips and pop-punk acts like The All-American Rejects. Do you see yourselves as an Oklahoma band? Do feel that you offer something new to the state? JT: As far as the state goes, it doesn’t really matter to me. We might as well be from Omaha, Nebraska. I love Oklahoma, but it’s not about what we give to Oklahoma so much as what Oklahoma gives to us. It gives us time and space and landscape. I want healthy music communities, but I think we take more from the state than what we consciously give back. JM: We definitely consider ourselves to be an Oklahoma band, and we’re really proud of where were from. We respect a lot of musicians here. Colourmusic has a studio next to us and we respect them so much. Their new record is unbelievable even though their music is different from our own. JT: We’ve been to L.A. and New York, met bands and scenes and all that. And the people and musicians in Oklahoma are my favorite. The Fiddleback: I think if anything it’s that Oklahoma still has that down-to-earth factor unlike a place like L.A. or Brooklyn where everything’s a scene. JT: It’s a race, and there’s no race here.